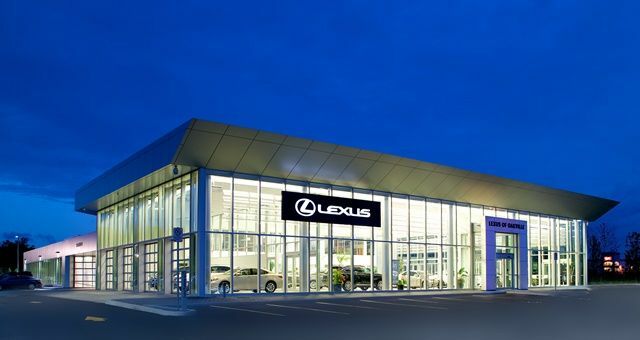 TORONTO, ON., (October 9, 2014) – For the past 13 years, Lexus of Oakville has been a customer service leader, with a philosophy to treat each customer as they would a guest in their own home. On October 9th, the dealership is celebrating the opening of its new 41,000-square-foot facility that’s larger, more modern, and loaded with special features that will be appreciated and valued by customers. Fourteen new employees were hired, bringing the staff total up to 52 associates. Customers will be served at eight drive-through service bays and 17 mechanical bays. There will be a 14-car showroom, three lounges, and a sophisticated audio-visual entertainment network that incorporates a large video wall. Customers will also be treated to a complimentary six-point diagnostic pre-service inspection with each service visit. In the new location at 1453 North Service Road W. in Oakville, the dealership will continue its long-standing commitment to help the local community through support for several causes, including the Oakville Hospital, Oakville Milton Humane Society, Mike “Pinball” Clemons Foundation, Special Olympics, Rotary Club, plus area schools and sports teams.